In our home, we like to think outside the box. The concept of thinking about challenges from different angles (with sometimes quirky ideas) is something my husband and talk about often. In fact, hearing my husband talk about thinking outside the box (when i first met him) was one of the things that sparked my interest in him. Basically, we are creative problem solvers. Oddly, my husband has been told in the past that thinking outside the box is a negative thing. Nonsense! This shows he is using his creativity. 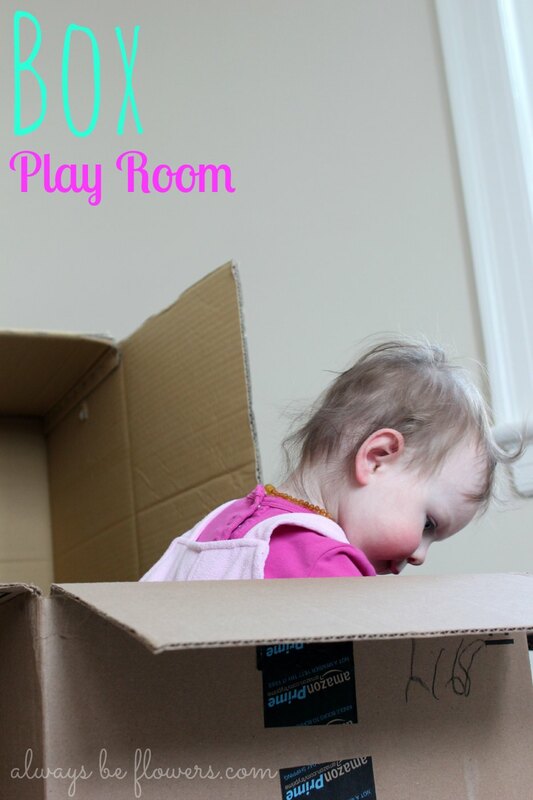 So, in setting up a playroom for our daughter, we decided to make it a "box room." We have filled the playroom with boxes to encourage open ended play. I am hoping we can foster the same creative spirit in our children, and encourage them to "think outside the box."